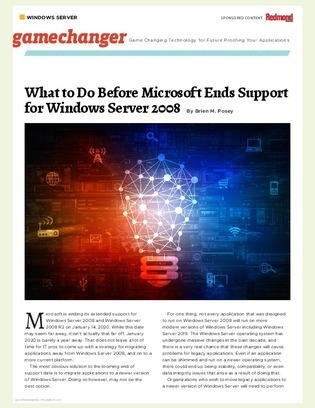 Microsoft is ending its extended support for Windows Server 2008 and Windows Server R2 on January 14, 2020. That does not leave much time to develop a strategy for migrating apps on to a more current platform. Moving apps to Docker containers, useful for their portability, scalability, and reduced security risks, is one option that is gaining traction with many looking to make the switch from Windows Server 2008, especially considering the high costs associated with moving to a new version of Windows Server. Read this article to learn more about containerizing applications before the Windows Server shutdown date.